Most of Dave's classes are held in the Studio in Dave's home, which is close to the intersection of Trilby Road and Lemay in Fort Collins. Here is how to get there. If you're coming from I-25, take the Windsor exit (Exit 262) west on 392, which turns into County Road 32 or Carpenter Road. Go west for 3.6 miles to Lemay Avenue, and then turn north (right) and go 1.1 miles to Brittany Street: the first street north of Trilby Road. If you're coming south from Fort Collins, come south on Lemay 1.9 miles south of Harmony Road, past St. Elizabeth Seton church and the golf course, and past the Huntington Hills subdivision. Brittany Street is the last turn west before Trilby Road. If you're coming north from Loveland, take Highway 287 to County Road 34, also called Trilby Road; there is a stoplight and a 7-11 Store at that intersection. Turn east on Trilby Road and go one mile to Lemay Avenue; the Heart of the Rockies Christian Church is in the northwest quadrant of the intersection of Trilby and Lemay. 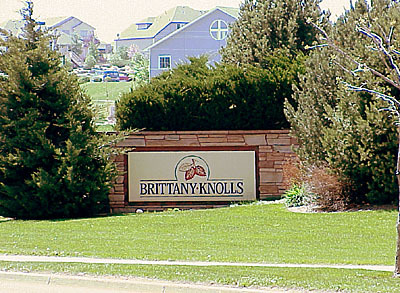 Turn left (north) on Lemay and go one (long) block to the entrance to the Brittany Knolls subdivision, Brittany Street, on the west side of Lemay. Once you are at the intersection of Lemay and Brittany Street, turn west on Brittany Street and go one block to Buchanan. Turn right (north) on Buchanan and go three blocks to Marshall Street. Turn left (west) on Marshall Street and go to the fifth house on the left (south) side of the street. Our address is 813 Marshall Street, and the address is above the garage door. 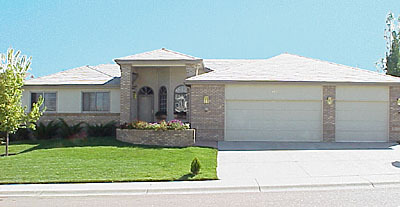 It's the cream-colored ranch-style house, shown below (just remember that the house dressing is creamy ranch). In other words, once you get on Brittany Street from Lemay, it's the first right, the third left, and the fifth house.